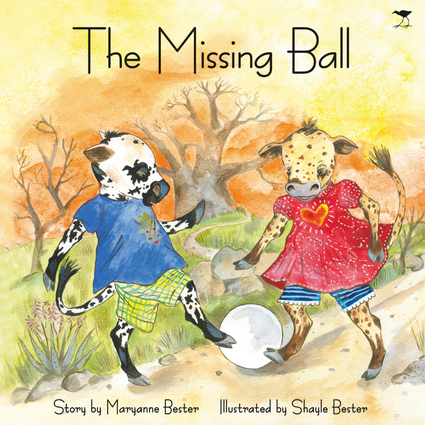 Gaps, the endearing Nguni calf, and his cousin Sugarbean—named because of her speckled, sugar bean-like hide—want to play a game of soccer before sundown, but they must first find their missing ball, hidden somewhere in Africa's vast, majestic landscape. With a quirky African take on a situation all kids can relate to—losing a favorite toy—this visually engaging tale continues the series' trend of entertaining children while exposing them to a unique and exciting culture. Maryanne Bester and Shayle Bester are sisters who grew up on a free-state farm in South Africa. They run a decorative painters and illustrators business that specializes in children's art.